Why should I be forced to pay for dozens of cable channels I don't want? Your cable bill won't necessarily go down, even if you want only a few channels. The "I'm paying extra for stuff I don't want" philosophy is based on the false premise that if only you were able to shed Fox Soccer, Logo, and all the other channels you don't watch, your bill would definitely fall. Under an a la carte plan, cable providers would simply charge more for access to individual channels. "Customers are angry [about paying a lot of money for cable], and they imagine picking their favorite premium channels for $1 or $2 each," said cable networks analyst Erik Brannon of IHS. "But the math just doesn't work at that level. There's a huge disparity between what's expected and what would be reality." If you drop 50% of the channels from your package, that doesn't mean your cable bill would be cut in half. "For any channel, even [a big one like] an ESPN, there would be a significant portion of people who wouldn't buy it," Brannon said. "ESPN revenue would plummet. Disney (DIS) isn't going to let that happen. So the remaining subscribers who really want ESPN end up paying more." Needham Insights analyst Laura Martin detailed that scenario in a report last month. ESPN currently gets about $6 a month from 100 million homes, but only 20 million of those households are heavy sports watchers. In order to keep revenue steady, then, ESPN would have to charge those heavy viewers at least $30 per month -- a figure that doesn't even include lost ad revenue due to fewer eyeballs watching. 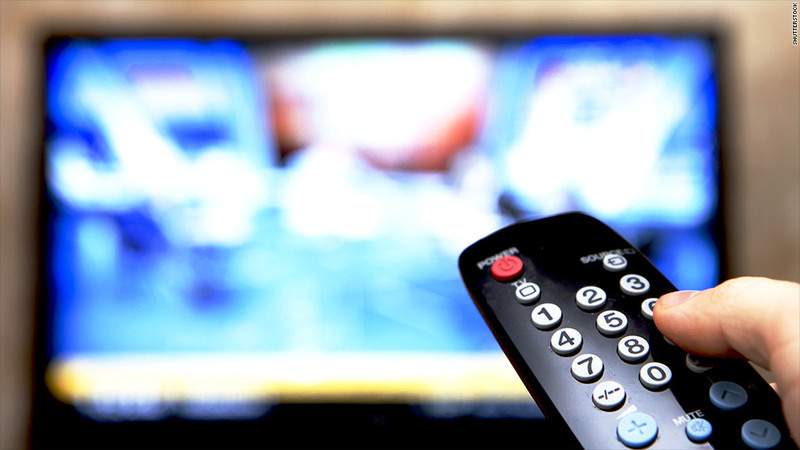 A la carte viewing could still save money for some very light viewers, but higher prices for individual stations would quickly add up for subscribers who buy even just a few premium channels. They could cost even more than a bundled package. Niche networks won't survive. Without the support of popular channels in a bundle, each network would stand on its own. It's hard to imagine Discovery Fit and Health, for example, surviving in an a la carte world. Martin believes there would only be 20 channels widely available to consumers under such a system. You may not care if Investigation Discovery slips off the dial, but perhaps you'd be sad to see the Cooking Channel go. And even if you truly watch only five main channels 95% of the time, you're not paying much for the ability to flip around during other 5%. A 2010 New Yorker article likened that bundling feature to "what economists call option value: you may never watch those sixty other channels, but the fact that you could if you wanted to is worth something." Don't get your hopes up. Even if you're still holding out hope for an industry-wide switch to a la carte model, it's not worth getting too excited about the possibility. The business of television is deeply entrenched: Networks and cable providers are dependent on one another to survive, and they have no incentive to let customers mess with a good thing. This sums their position up nicely: switching to an a la carte model would cut cable and network revenue in half (to about $70 billion), according to Needham's Martin. Despite that, Sen. McCain continues to lead the legislative charge for a la carte pricing. He introduced the Television Consumer Freedom Act in May, and Sen. Richard Blumenthal, D-Conn., backed it late last month. The bill is eerily similar to a previous McCain proposal that failed. In 2006, McCain pushed the Consumers Having Options in Cable Entertainment (CHOICE) Act, which would have let cable providers compete nationally for customers in exchange for offering a la carte options. At that time McCain was then a member of the Senate Commerce Committee, which oversees regulation of consumer products, and he was previously the chairman of the committee. Even then, McCain couldn't make a la carte happen. The environment may be slightly less chilly now, as cable companies continue to hike and standoffs like Time Warner Cable (TWC) vs. CBS (CBS) crop up every few months. If bundled cable is one painful extreme and a la carte is the improbable other, it's possible that providers and customers could reach some middle ground: breaking out expensive sports into their own tier, or creating more options for mid-level blocks of programming. "They'll probably have to get creative with bundles or offer a lot more promotions," said Brannon, the IHS analyst. "But the pay-TV business is very fundamentally sound. A lot of people still walk into the house and turn on the TV, and there's a lot of money to be made on that long-standing habit."